On the heels of crunchy insect bread made from crickets, beekeepers in Finland are now looking to sweeten their margins with grubs and pollen. 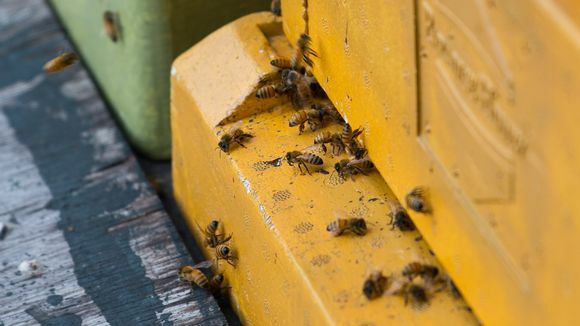 Finnish apiarists are inceasingly interested in producing insect-related foodstuffs in addition to honey, according to the Finnish Beekeepers' Association. "It's a way for beekeepers to get some extra income on top of their honey production," project chief Anneli Salonen from the association told Yle. Bee-entrepreneurs looking to sweeten their business, are exploring adding protein-rich grubs of drone bees and pollen to their product ranges. Pollen and grub collection does not disturb the life of a beehive, as the worker bees that run much of the hive are undisturbed in the process. But everyone isn't jumping at a chance to introduce their taste buds to bee larvae. "Some people are extremely interested, and others want nothing at all to do with it," Salonen said. "Demand is difficult to gauge at the moment, but broadly speaking it is likely that people will be eating insects left and right in a decade or two." Beeswax has been a staple of human life for thousands of years. It is used in candle making as well as cosmetics. Beeswax demand in Finland currently outstrips supply. One of the lesser-known by-products of beekeeping is propolis, a resinous wax known as 'bee glue' that is produced when bees collect resins from trees and other plants. Propolis has numerous uses both inside a hive as well as on a plate. "A propolis shell protects the hive and its entry points," Salonen said. "It is also a disinfectant and antibiotic, so it defends the hive against bacteria and microbes. Once stung, bees also coat intruders such as mice with propolis, embalming them in the hive." Consumers can meanwhile look forward to propolis-based nutritional supplements touted for their anti-inflammatory properties, according to Salonen.